All NSM sponsored performances this season are FREE! This is made possible by our generous donors, and through support from the Cambridge Community Foundation and the Cambridge Arts Council. 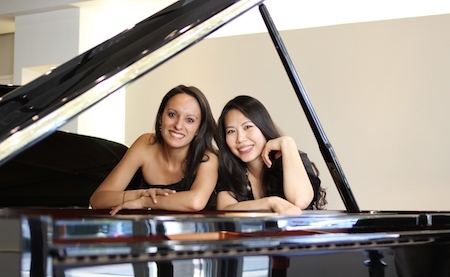 NSM Faculty Laura Villafranca and Ai-Ying Chiu present an all-American program for four hand piano. The recital will feature works by Gershwin, Copland, Bernstein, and more! Join us as the Zefira Trio presents a concert featuring Schubert’s Trio in Eb, D. 929, as well as works by Granados and Schumann.